Max's father in front of A. Poglia & Irmao. A knife gifted to A. Poglia & Irmao clients on the store's 35 year anniversary. A pencil gifted to A. Poglia & Irmao clients on the store's 50 year anniversary. Later, when Poglia first moved to the US, he found comfort in the similar timeless aura of "old-New York," the handful of restaurants, hidden late-night spots and city landmarks that embody the city's old-spirit and evoke memories of simpler days. 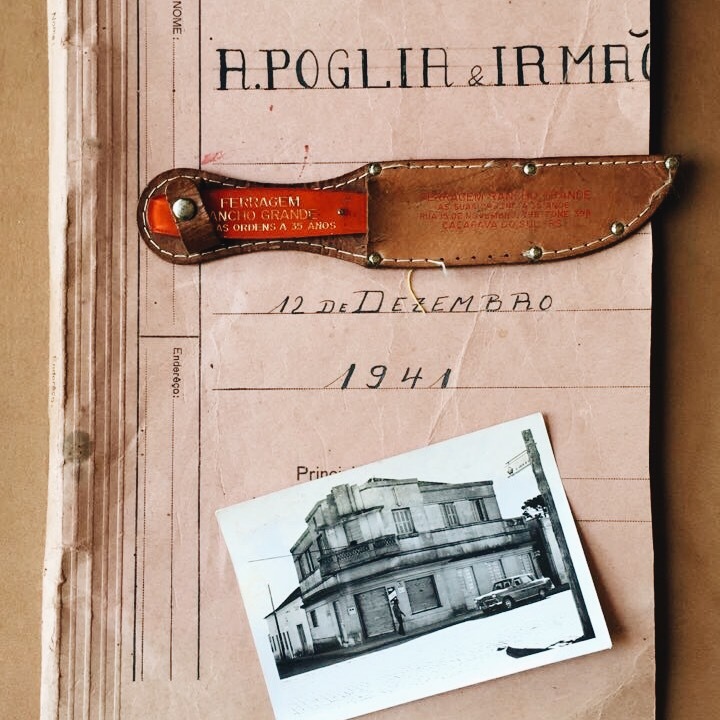 The memories of A. Poglia & Irmao and Max's affinity for Old NY now serve as the inspiration and framework for the Poglia brand.